TI innovation, system expertise and large selection of reference designs allow engineers to design smarter, more robust industrial systems that create safer and efficient environments for any industrial market. Whether designing for Industry 4.0, building automation, factory automation or motor drive and control; TI can help you meet the toughest system-level challenges. Analog signal chain products and solutions from Texas Instruments deliver performance, power, integration and size advantages that allow designers to differentiate their electronic systems in key areas, such as energy efficiency, speed, precision, portability and audio. Our data converters improve the accuracy of industrial test equipment. Amplifiers sharpen image and audio quality in surveillance cameras. Interface ICs speed downloads of high definition video files. Analog front ends make smaller ultrasound equipment possible. Clock ICs maximize spectral density and data rates in communications equipment. Just to name a few. TI also provides easy-to-use design tools, reference designs and resources that help keep designers at the top of their game and shorten time-to-market. 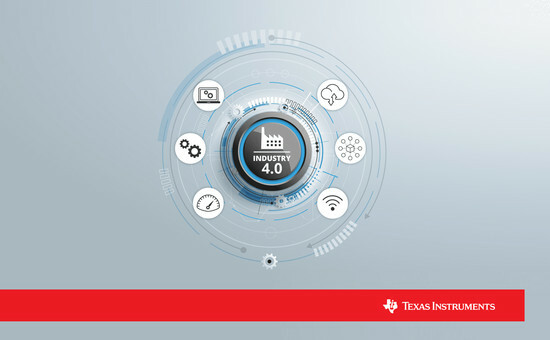 Texas Instruments (TI) is accelerating the driving experience by providing system-level innovation, scalability and the safety expertise to get customers on the road faster. TI delivers innovative products in Advanced Driver Assistance Systems (ADAS), Infotainment, Hybrid/Electric and Powertrain, Body Electronics and Lighting enabling our customers to deliver the next-generation of safer, highly connected and greener automobiles to consumers. Embedded processors from Texas Instruments help solve problems with solutions that deliver benchmark-setting performance levels, including wired and wireless options spanning connectivity protocols and low-power, high-performance microcontrollers (MCUs). SimpleLink® MCUs is the broadest portfolio of wired and wireless Arm® MCUs in a single software development environment. Our Arm-based processors meet tomorrow’s performance and cost requirements in automotive and industrial applications; including single-chip mmWave sensors with processing at its core. Scalable hardware and software platforms allow for code reuse and migration across devices. This mix of silicon, software, reference designs and development tools enables differentiation; future-proofs investments; and speeds time to market. TI fuels power designs with an innovative portfolio of power management ICs and speeds time to market with easy-to-use design tools, technical training and unmatched customer support.